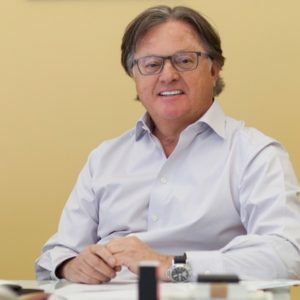 With deep roots in media, Eric Hippeau has established himself as a leading venture and growth stage investor. Eric’s experience is highlighted by roles such as Chairman and CEO of Ziff-Davis, CEO of the Huffington Post, Managing Partner of SoftBank Capital, Co-Founder of NowThis News, and most recently Co-Founder and Partner at Lerer Hippeau Ventures. We sat down with Eric to discuss the growth company investing landscape, trends in retail and media, and areas of the economy that are exciting for investors going forward. Eric’s journey in the technology and media world started at Ziff Davis in the early 1990s. His early experience presented numerous opportunities, such as an investment in Yahoo and eventually a full time investing role at SoftBank Capital. You can hear Eric share his background and career roadmap in the clip below. There has been an explosion in direct investing in growth-stage technology companies over the last 10 years. Many family offices and institutional investors have fueled this trend, evidenced most recently by SoftBank’s $100bn Vision Fund. Hear Eric discuss the importance of this trend, why investment in technology is here to stay, and why technology is critical to the continued growth and innovation of the economy. III. What Makes a Good Investment Opportunity? Having been a successful investor at both SoftBank and now his name-sake fund, Lerer Hippeau Ventures, Eric has refined a strategy for identifying attractive investment opportunities. His process is highlighted first by the evaluation of an idea and the timing around its launch. Lastly, Eric focuses on evaluating the founders of a business. He gets excited by founders who view their business success as more than just a job, but a mission. Through his review of nearly 2,000 investment opportunities every year, Eric has developed a prudent view of what drives success in early stage companies. Retail is an area of the economy that has notably struggled after the most recent financial crisis. Traditional brick and mortar retail will always serve an important role, however technology—and particularly data—has resulted in massive innovation in the space. Even traditional retail environments are utilizing technology to reinvent the use of physical space. Whether that be through showroom type setups at businesses like Warby Parker or the further monetization of existing foot traffic by expanding direct-to-consumer offerings. Similar to the rapid changes in retail, the media landscape has undergone a seismic shift since Eric began his career at Ziff Davis. From the advent of the digital medium to the rising popularity of “smart brevity” distributed content, media is continually changing. However, Eric believes that media is as relevant as ever as long as the content is high impact and application specific. Given Eric’s focus on early stage investing, his firm must stay on top of exciting new trends that could dramatically change existing industries and create new ones all together. Specifically, Eric shared his thoughts on what areas of the economy excite him today and how New York has positioned itself as a hub for robotics. You can listen to the conversation in its entirety through iTunes. Subscribe to the GrowthCap feed to stay updated on new episodes as they are released.